Lynn Tisdall Tenney, born in Newport RI on April 4, 1944, was the only child of the late Dr. Oliver and Nancy Thompson Tisdall. She graduated from Rogers High School as a member of the class of 1961 and following graduation, attended Barrington College. In 1970 Lynn married David A. Tenney. Together they lived in Foxboro, MA and Berkley Heights, NJ before finally settling in Duxbury, MA, where they raised their family. With six children, their home was often full of friends, family and laughter. Lynn always prepared enough food for an army and her kitchen was always a good place for an after-school snack. Their dinner table was known to always have an extra seat or two for the neighborhood kids and the Holidays found their table filled with extended family, friends and love. 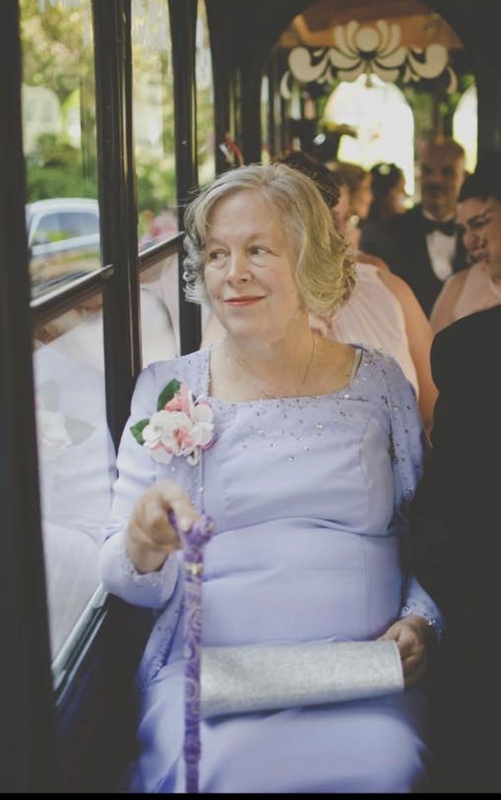 Lynn lived her faith and was an active member of the churches she attended. She taught Sunday School, helped in the nursery, volunteered at their various soup kitchens, and served as a Deacon and a Sr. High Youth Advisor. In Duxbury she was an active Booster, PTA member and supporter of the School Committee on which her husband served for many years. She was an ardent supporter for those in need and would often prepare meals, deliver cookies or visit those simply in need of company. She found great joy and purpose in helping others. In 2001 Lynn and David retired to the family property on the Sakonnet River in Portsmouth, RI. There she was most active at First Presbyterian Church of Newport where she ran the Church’s nursery for nearly 18 years. She felt at home on the river and passed peacefully there on April 14, 2019. Lynn is predeceased by her grandson Christian MacFarland, infant son James Nathan, and just last year by her youngest son Jeffrey of Arden, NC. She is survived by her sons Allan (Eyrin) of Fairview, NC. Frederic (Megan) and twins Lauren and JD of Pittsburgh, PA. Andrew (Jennifer) and children Andrew Jr. and Caroline of Duxbury, MA. She is also survived by her daughters NancyDee (Scott) MacFarland of Tequesta FL and their children Julianna (Tyler) Oats of Ipswich, MA, Jameson (Katherine) MacFarland-Hall of Carthage, NC and Stephanie and Noah also of Tequesta, FL and by Heather (Michael) Coggins and their children Mikael, Kaden and Hollie of St. Johns, FL.